The way in which we approach sales in 2016 is very different to how it used to be. Technology and an ever-changing world have contributed to vastly different business strategies. However, there are a few things that haven’t changed. The importance of customer loyalty is one of them. All you have to do is take a look at some of the biggest companies in the world to see how much they value their customers. They’ll offer customer-exclusive deals and provide them with vouchers and coupons. Whatever happens, they’ll do everything to ensure they don’t lose their loyalty. This is where a lot of startup businesses go wrong. Young entrepreneurs weren’t brought up in a world where customer loyalty took precedence above all else. They see a vast online marketplace where transactions are made at the click of a button with very little customer interaction. However, there’s a lot going on behind the scenes that isn’t immediately visible. You might not think it, but every successful business is aware of their customers’ habits and desires. How is this possible? They utilize services to keep a track of trends. They seek gaps in customers’ happiness levels to offer discounts and other loyalty-inducing treats. Restaurants might use a restaurant pos system for this task. E-commerce businesses will use tools like social media metrics. It’s all happening behind the scenes, and the clever part is that you rarely ever hear about it. But why do businesses place so much attention on customer loyalty? It’s simple: loyalty must be present for any business to sustain itself. You might have delusions of grandeur that everyone wants to buy your products, but even then, your success levels will drop. Everything has a shelf life, and eventually, new customers aren’t going to flock to your offerings like they used to. However, if you’ve built up a solid base of loyal and satisfied customers, there’s nothing to worry about. You’ll still be bringing in some profits for now, which is important. This gives you a chance to listen to their suggestions and provide new services to take your company into the future. 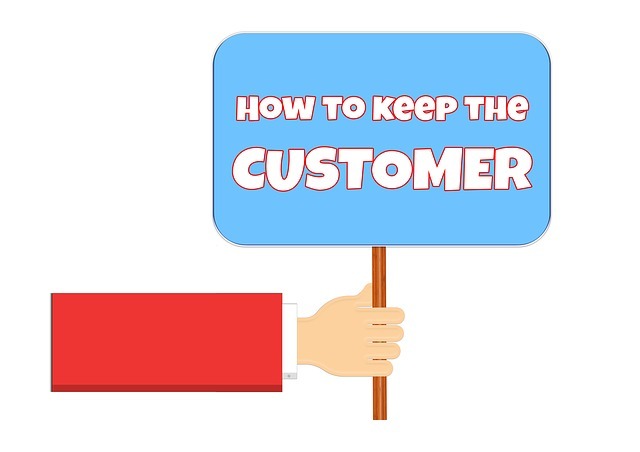 The thing is; customer loyalty isn’t just about future success for your business. It impacts everything you do, and without it, your business will begin to deteriorate. Without loyalty, customer satisfaction will rarely follow. Without satisfaction, no-one will buy your products or recommend them to others. Now, you’ve got a problem. You might receive a one-time purchase from many customers, but then, they’ll jump to the competition. Their loyalty will be snapped up, and regaining it will take a lot of hard work. If you let this situation become too severe, it’ll be very difficult for you to sustain your business in the future. So, make no mistake about it: customer loyalty is a crucial component of any business. Make sure you’re doing the right things to entice customers to your company, as well as keeping them for the future. If you can master this, your business will hopefully enjoy success for many years to come.